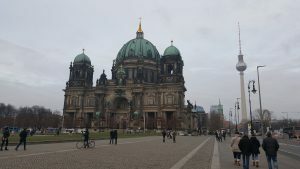 This week I have been to Berlin, Germany. I got off the train at Berlin Central. What I noticed most while walking to my hotel, was how much construction work there was taking place. Getting off the train, you are meet by four construction sites in a row. One of which was beside a river partially flooded with water, I will talk about this later. Walking along the streets, I can’t help but notice the amount of tower crane’s in the sky. And the number of cranes being erected. The volume of construction sites that you had to walk past, I should say, the amount you had to walk under scaffolding, to get around was equally impressive. Skyline over Newstead looking from Fortitude Valley in Brisbane. The volume of cranes reminded me of Brisbane and the amount of construction work happening and the number of tower cranes in the skyline. 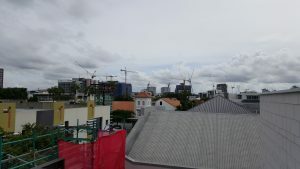 On one of the last projects that I worked on in Fortitude Valley, Brisbane, when standing on the roof, looking north in a short radius, you could count 16 tower cranes. 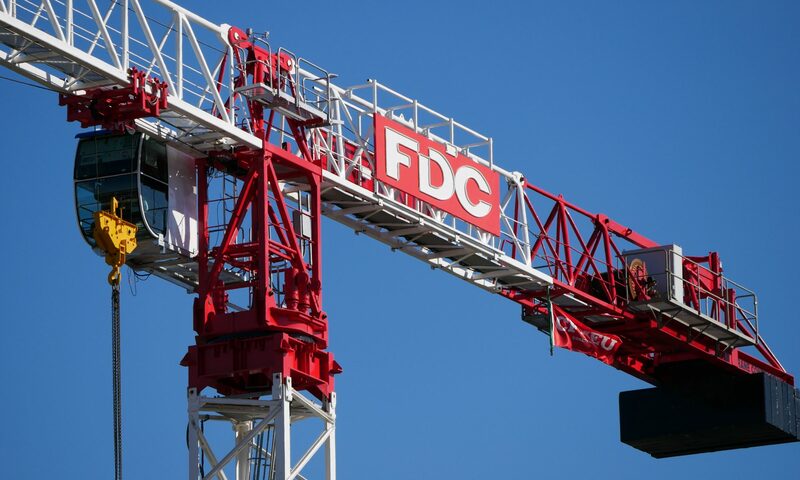 If you looked around a full 360 degrees, you could count a total of 24 cranes. The project I was working on was only a couple of stories tall with most of the skyline blocked by other high rise buildings. 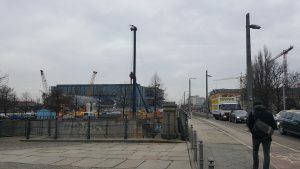 To walk into Berlin and see such a large volume of construction work going on was surprising. While walking around, there was a vast variety of different types of construction working happening. A new subway getting built (what I think was a new subway). Towers (high rises) going up everywhere. Building refurbishments, and minor works you could hear in the background when you walked past apartment buildings. 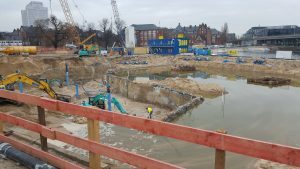 Berlin construction site partially flooded. On the other side of the job site is the river. As I mentioned earlier, getting off the train, there was one construction site that gained my attention above all else. The site was on the river’s edge next to Berlins central train station. The first thing I noticed was the lack of secure fencing and hoarding (hoarding is non-see through or solid fence) around the construction site. You could just simply walk straight in off the street through holes in the fence that were not designated entry points. Looking down into the construction site, they were digging out the basement. As you looked down, you could see how much water was in and around the work area. The water was up higher than what the guys were working. They had a couple of excavators down low, behind what looked like remnants of an old buildings basement. The old building remnants were all that held back the water. I was surprised to see this going on, back in Australia if you tried to do the same work below the water line, you would have a lot of explaining to do. Piling machine doing the foundation work for the new building. The piling rig that was doing the foundations was massive; the mast was around the 6-7 stories high. The footprint of the machine was comparable to a small one bedroom apartment. The photos do not do the piling machine’s size justice as you walk past and try to look up to the top of the mast. 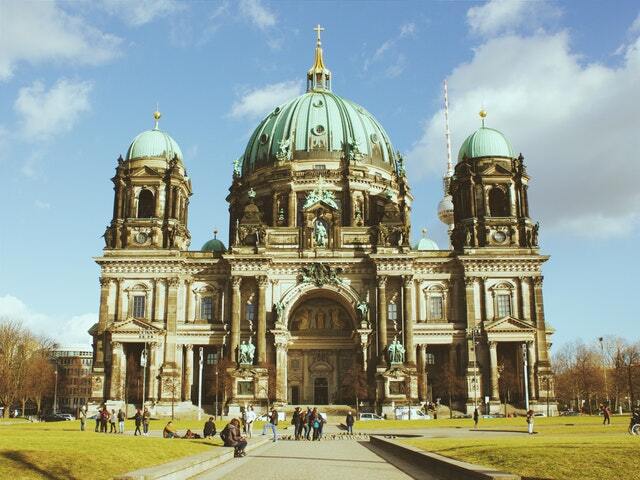 There was one building in particular that caught my attention, which was the Berlin Cathedral. Some background information about the Cathedral, it had five architects working on it over its lifetime. The first building built back in 1451, and oddly enough the second building which got completed in 1345 (I have no idea why). In 1750 the third building was completed, followed by the fourth building a century and a half later in 1905. After the war repairs had been completed, the building got inaugurated in 1993. The highest part of the building is 115m. The part of the building that stands out the most is the gold on top of the spires. On a dark overcast winters day, these spires were bright and shiny. There was a notable difference of the scaffolding set up on construction sites. In Australia, our scaffold has to have mesh and shade cloth around it to keep the dust and debris inside the building site. Here in Germany, the thing that I noticed was how much scaffolding didn’t have any mesh around it. There was nothing from what I could see; that would stop debris from falling off the sides. I do want to acknowledge there was hoarding (solid roof) over the footpaths to catch anything if it did fall. However, the hoarding didn’t stop debris from falling off the sides and out onto the roads. I noticed this on quite a few job sites I walked past. 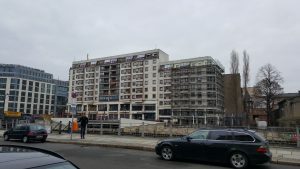 Meshless scaffolding in Berlin. The mesh stops debris from falling. The other thing that surprised me was how many construction sites had insecure site fencing. And how much see-through fencing was around, allowing the public to see what was happening. Back home in Australia, if we have a job site where the fencing isn’t secure, and someone walks onto the construction site and gets hurt, we are in a world of trouble. I guess at some level; this demonstrates the culture of the German people’s respect for what is going on around them and what other people are up too. Berlin has been a great city to visit, and casually wander around. I will certainly be back again. A special thank you to GoEuro for organizing my transportation for this trip to Berlin. If you are planning a trip through Europe, check out their website at GoEuro.com for great transportation deals. Next PostNext Construction site management, why I love it.